I found out that I had lung cancer back in August of 1999. I had 3 bouts of pneumonia in the first 6 months of that year. The last chest X-ray showed an area of concern. The next step was to have a CT scan of the area. I had the CT and they saw a blockage in my right lung between the lower and middle lobes. I was sent to see a pulmonologist and he scheduled a biopsy. He preformed the biopsy and they found a tumor that was blocking the area of my main bronchi between those two lower lobes. They tested the sample from the biopsy and it showed Non Small Cell lung cancer. I was staged at 2B. At that time they asked if I’d be willing to try a new approach in treatment. I said yes. The new procedure was to give me 6 rounds of chemo then 39 radiation treatments and the surgery to remove my two lower lobes in my right lung. The “old” way was to reverse those steps. Since then they have found no change in survival rates doing it one way or the other. My comment is 18 years and I’m still here. I think it worked great! Of course all these years later things have changed but not until recently. When I was diagnosed the Internet was in its infancy. There were no lung cancer support groups on line or in hospitals. We didn’t live long enough as a group to have a call for them. There were cancer in general groups but I was on the young side of the equation which put me in a smaller population. I wish there had been more groups or on line groups. I had a young family, I owned a small landscaping business and I paid my own health insurance. My wife was a stay at home mom who worked part time. We had decided it was more important to us to have the children have a parent available and I would just work longer. At that time my heath insurance was an HMO and was the cheapest I could find. But this is when the health insurance crisis started. My premium went from under $400.00 a month to over $1800.00 a month in a year’s time. I somehow managed to stay working through treatment and the surgery. Thank you my friends, relatives, and employees who carried a lot of the load. After surgery my wife had to go to work full time to get us health insurance. For a few months we somehow made it without insurance. I started the survivorship journey dealing with multiple doctors’ appointments, testing appointments and running a business. It was not easy but as with anything you make adjustments to fit it in. You have to. The first five years of this survivorship was learning how to negotiate my way. I’m in a physical business. I can’t do what I used to. I had had a bad back for years since the cancer, my back has been great! I can’t swing a sledgehammer or chase a lawn mower or anything rough that I used to do. Instead I worked my way around it. 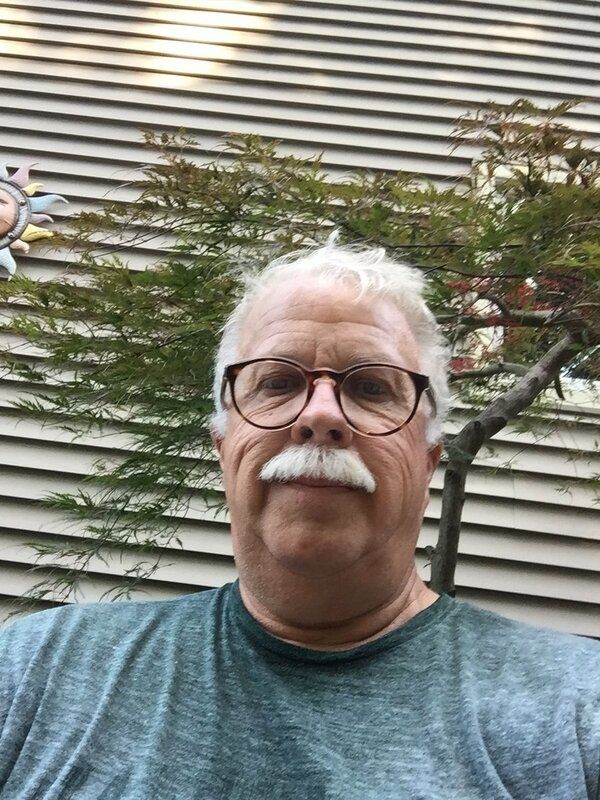 I bought a riding mower, can’t do all the lawns I used to but I can mow larger lawns easier. I can’t move wheelbarrows full of soil, rocks or even plants but I can run a tractor and do it that way. I can’t run anywhere but I walk and I get there slower but not that much slower. You will find new ways to do things and or you don’t do something’s. I remember my wife asking the surgeon what will my husband be able to do after the surgery. He said well if he said he played tennis, I’d say he couldn’t play that anymore. I guess the look on her face made him ask why do you ask. He owns his own landscaping business. Oh, hmmmm, I have never told a patient that they couldn’t do something but you’ll know what you can or can’t do. So that’s how I took how I’d live my life. I’ll try to do everything and see if I can. If I have to perform this or that I will find away. Over time I have realized how lucky I’ve been to survive this long. After a few years I went searching the Internet for someway for me to give back. I found the Lung Cancer Alliance through their website and online support group. That is when I started to talk to anyone who was newly diagnosed with lung cancer. I vowed I would try to make sure that no one would start this journey without someone to say I know how you feel and it’s ok to be scared, alone, and despondent. No one knows what it is like to have someone tell you, you have lung cancer, any questions? As they did to me the very first time anyone even mentioned to me that I had cancer. Scared is not even close to how I felt. I found out about LUNGevity from a couple of survivors who were on another site. 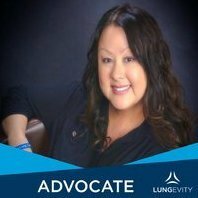 I also found that I noticed more advocacy from LUNGevity in respect to serving the lung cancer community, informational posts that I found very interesting and the very active organization that seemed to be everywhere reaching out to those in need. It certainly fit with my own advocacy thoughts about trying to reach out to the newly diagnosed. As a closing thought, try to always keep in your mind, there is always hope, hope not only for today but for tomorrow and the next day and the day after that!